Medium - $65.99 Only 1 left! Large - $73.99 Only 2 left! You’ve known for a while now. Your child has all the making of a great leader and a powerful superhero. When he grows up, he could totally be the King of Wakanda, with a little bit of guidance, of course! You’re going to need to teach your child the skills he needs to be the next Black Panther. First, you must teach your child some super-awesome special moves. T’Challa is always jumping around, doing flying sidekicks and crazy punches and if your child wants to fight off the forces of evil, then he’s going to need a few moves of his own. Second, you need to teach him how to be a great leader, since the Black Panther is not only Wakanda’s protector, but also its king. That means you need to teach him how to play nice with all the other superheroes. Finally, you may want to teach him how to dress like a superhero. 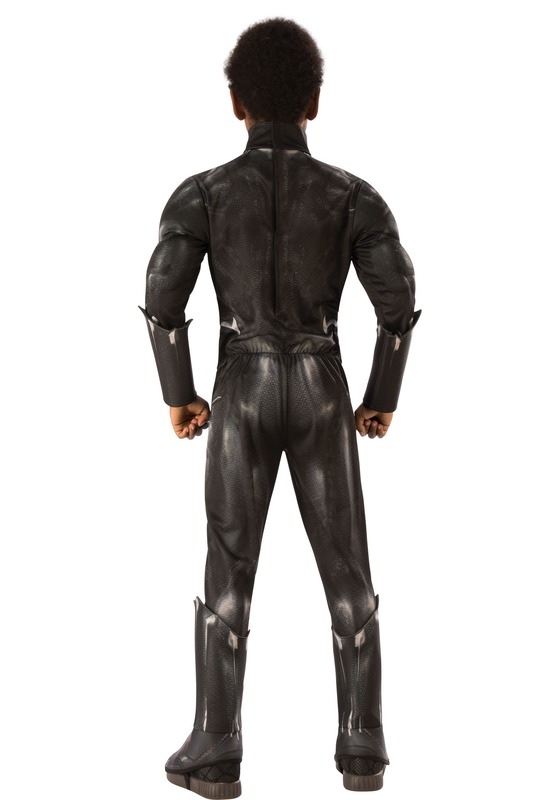 After all, one of the best parts of being the Black Panther is getting to wear his iconic suit and it just so happens that costumes is our specialty! 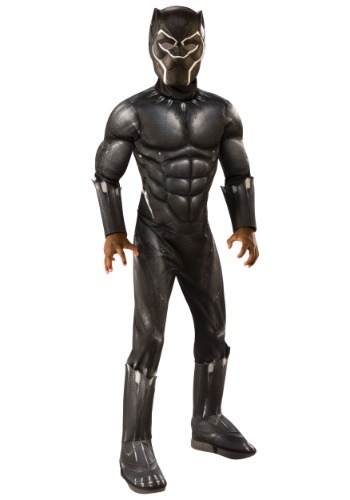 Your child will finally be ready to face off against any villain who threatens Wakanda. You don’t even need to seek out vibranium supplies to give him the look of Marvel’s Black Panther.